Experience the rich heritage behind award-winning wines expertly crafted by Bucks County's eight family-owned wineries. 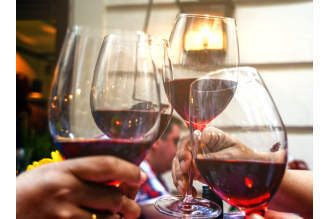 Tour, taste and follow along the trail: Bishop Estate Vineyard and Winery; Buckingham Valley Vineyards; Crossing Vineyards and Winery; Rose Bank Winery; Rushland Ridge Vineyards; Sand Castle Winery; Unami Ridge Winery; and Wycombe Vineyards. Our wineries are located minutes apart and close to attractions, including New Hope and Peddler's Village. 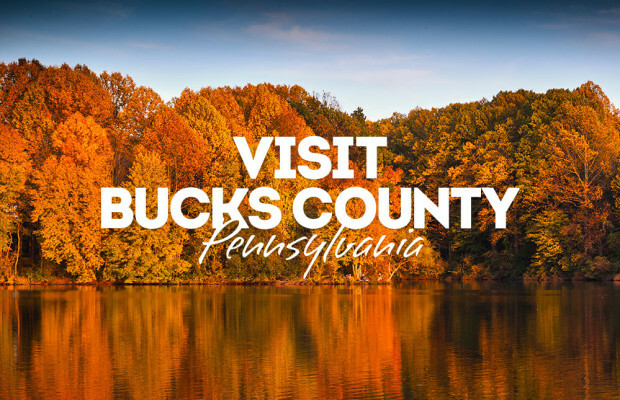 The Bucks County Wine Trail offers several events throughout the year, including Bucks County Wine Month each June and our Passport to Bucks program, which allows guests to enjoy a complimentary tasting at each winery with purchase of a card. 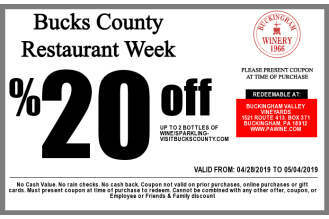 Passport to Bucks continues through April 30, 2019. Days & Hours of Operation: Visit individual winery listings.